The ICAMS seminars in the summer term 2012 will start on April 16. 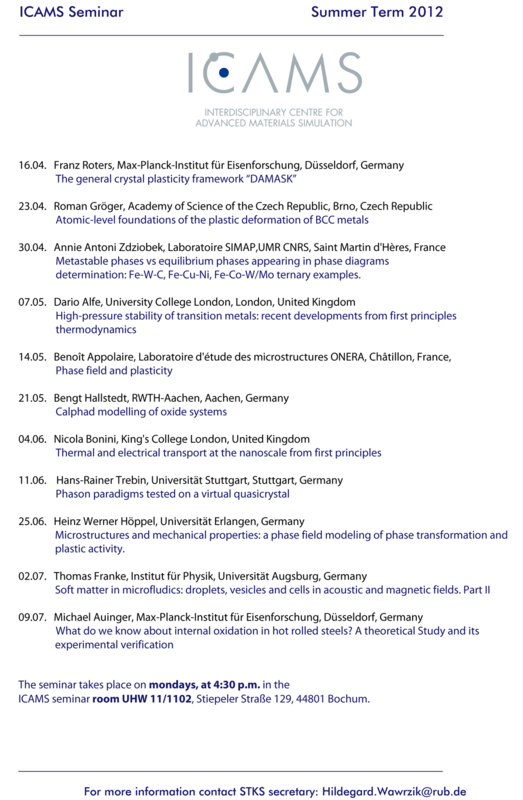 The seminars take place each monday at 4:30 p.m. in The ICAMS seminar room UHW 11/1102, Stiepeler Straße 129. A complete list of the speakers can be found in the pdf below.